My Career Development Report opened my eyes to a diverse range of career options; it provided me with insight, clarity, direction, focus, information and most importantly confidence. Simply put it is the best thing I have done for me in a long time! Blu Ripples Career Development Report is often revered and warmly referred to as my Career Bible® by clients as it provides clients with wealth of information, insights and ah ha moments that empower and support clients to make meaningful career decisions, strategize and implement career goals and action plans. Working together with you, on a one on one basis, Blu Ripples will respectfully dive into and discuss a range of topics including, but not limited to, your personal, academic and professional history to discover and clearly understand who you are and what you want at a core level; to decipher any anomalies that may crop up and to assist you in embracing your career potential. 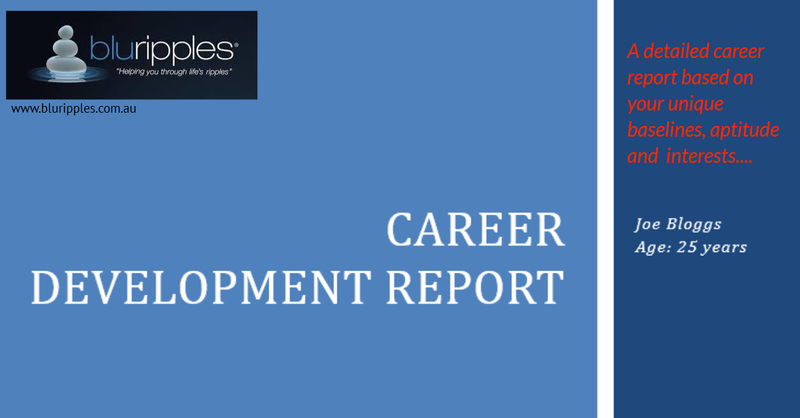 Blu Ripples Career Development Report process consists of four quality interactive career development consultations. 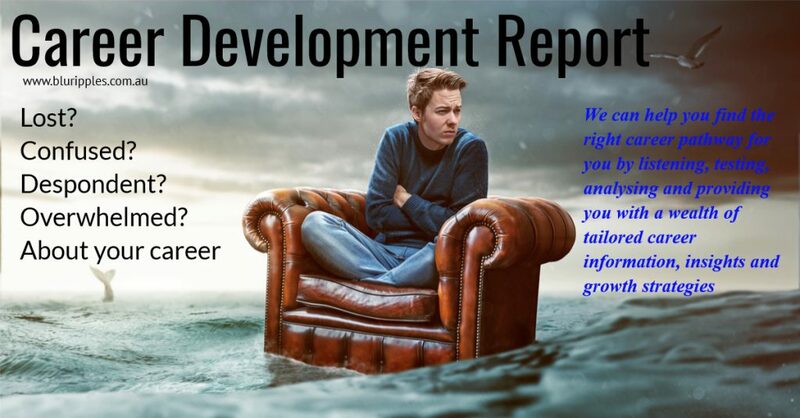 Our focus is solely on providing you with a high quality and meaningful career development report and as such considerable time is required to gather, analyse and report on your career data. In fact, behind the scenes Blu Ripples will spend approximately 20-40 hours gathering, analysing and preparing the information we collect and source as a result of our career development consultations prior to presenting our findings to you. Our Founder and professional Career Development Specialist and Counsellor, Katherine Foster. 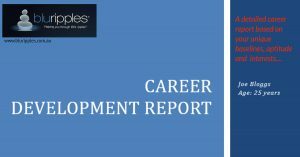 Drawing on her professional experiences and knowledge Katherine pioneered Blu Ripples Career Development Reports in 2005 and has continually and systematically evolved the Career Development Report into the revered Career Bible® it is today. Katherine is a Professional Member of the Career Development Association of Australia, a Member of the Australian Counselling Association and Australian Association for Psychological Type (AusAPT). Blu Ripples Career Development Report clients have included but are not limited to high school students aged 15 years+, graduates, secondary students, tertiary students, Defence Personnel, ex-Defence personnel, graduates, individuals with complex backgrounds, individuals with criminal and spent convictions, mid and executive management, professionals in non-management roles, professionals with minimal work experience, trades professionals, tertiary students (TAFE, private colleges, undergraduates, post graduates and masters) and transitioning employees e.g. deployment, redundancy or termination. The above comprehensive summaries illustrates the diversity of clients Katherine has created and delivered Career Development Reports to since 2005.